In their study, Chute and Digiday discovered that visual content, on average, performs 4.4 times better than text-based content alone. While the study reinforces the importance for visual content, it also points out that stock photography is one of the worst-performing types of imagery. These findings are great reminders to not only accompany content with the best visuals, but to ensure that any images for social media are customized for specific audiences. 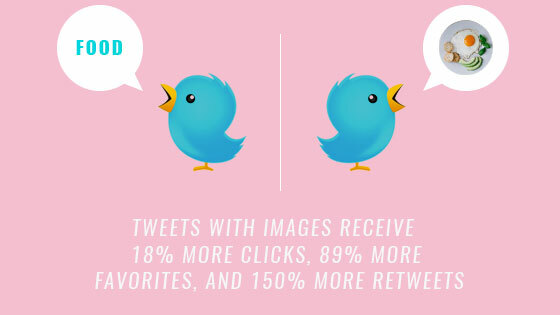 Another study by Buffer found that tweets with images performed significantly better than those without. 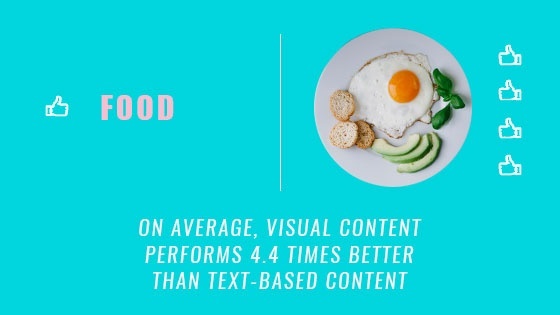 Though the study wasn’t conducted on a wide-scale, the findings are still great indicators of the importance of visual content to boost engagement on social media. 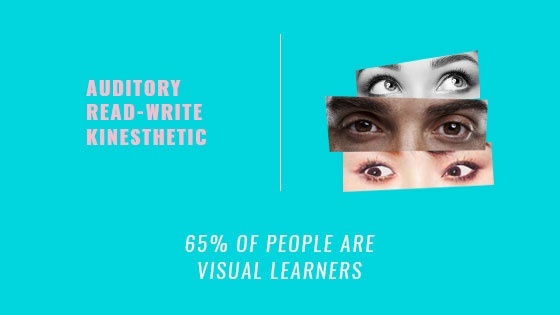 A majority of people are believed to be visual learners. This shouldn’t come as too much of a surprise considering the evidence that 90% of all data processed by the brain is visual, as is cited in Timothy Gangwer’s book, Visual Impact, Visual Teaching. With this in mind, images for social media shouldn’t be taken lightly as they have a better chance of making your message stand out in a sea of noise. It’s safe to say that the more the image stands out, the better! According to Social Media Examiner, photos on Facebook are the most engaging types of content from a user’s perspective. They also found that no other post type received more than an interaction rate of 4%. So remember, if you’re after more engagement, share more photos! Images for social media are important, but don’t forget video! 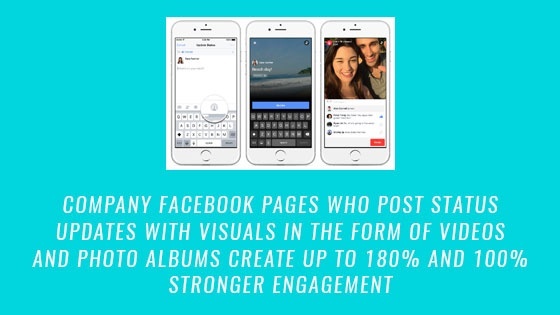 OpenView Marketing Lab’s article “Beginner’s Guide to Stunning Visual Content Marketing” cites research conducted by Facebook which found that photo albums delivered 180% stronger engagement, while videos were responsible for 100% stronger engagement. So the next time you host an event, don’t underestimate the value of a social media photo booth which allows you to instantly upload photos to your Facebook Page. 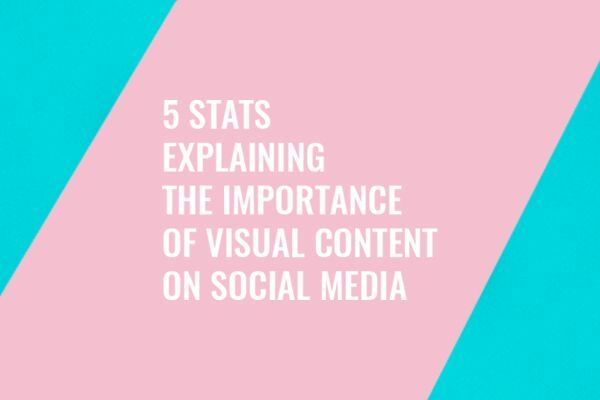 Even this handful of visual content marketing statistics is enough to grasp the importance of visual content on social media. However, for even more compelling data, take a look at HubSpot’s article! Regardless of which industry you’re in, there’s no denying the necessity of images for social media. 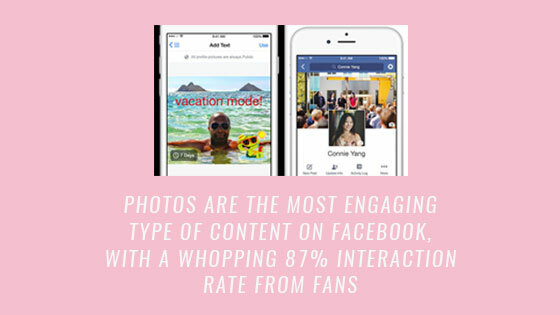 However, while visual content goes a long way, so does maintaining a presence. Keep reading to further understand the impact and importance of social media activity for business. 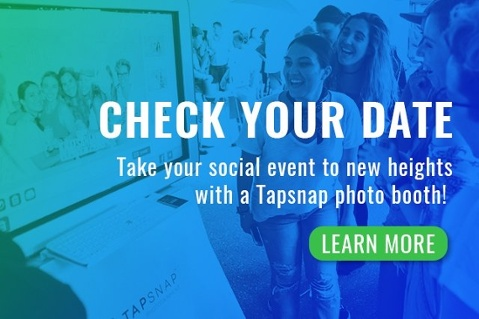 If you’re an event organizer looking to boost your brand or event’s visibility online, our social media photo booth is a great solution! Not only can we immerse event-goers in a fully customized, branded experience, our kiosk instantly allows guests to post their photos to Facebook or Twitter. You’ll also be able to populate your event album on Facebook on the spot!